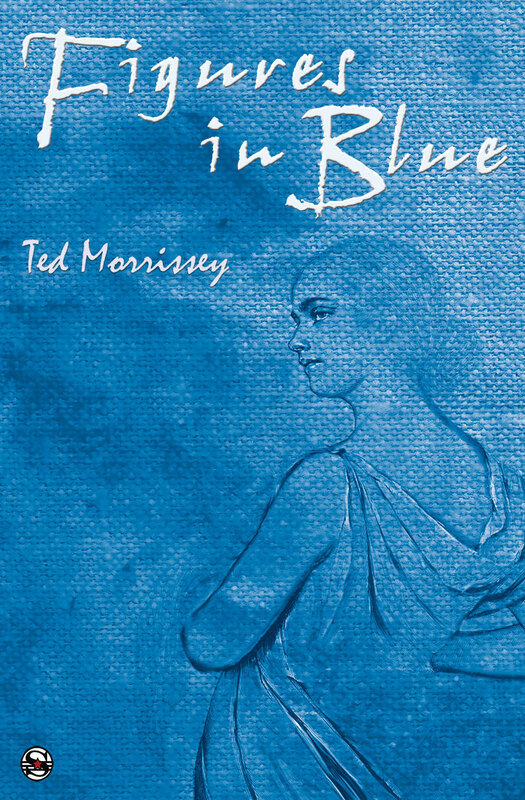 Ted Morrissey is the author of the novels Mrs Saville (2018), Crowsong for the Stricken (2017), An Untimely Frost (2014), Men of Winter (2010, re-released 2013), the novelettes The Curvatures of Hurt and Figures in Blue, and the novella Weeping with an Ancient God (Twelve Winters), named a Best Book of 2015 by Chicago Book Review. Crowsong for the Stricken won the International Book Award in Literary Fiction from Book Fest, the American Fiction Award in Literary Fiction from American Book Fest, and it was a Kirkus Reviews Best Indie Book of 2017. His short stories, novel excerpts, and essays have appeared in more than sixty journals, including Southern Humanities Review, Glimmer Train, The Chariton Review, PANK, Writers Ask and North American Review. He is also the author of two scholarly books: Trauma Theory As a Method for Understanding Literary Texts (Mellen, 2016), and The Beowulf Poet and His Real Monsters (2013), which won Edwin Mellen’s D. Simon Evans Prize for Distinguished Scholarship. He holds a PhD in English studies and lives just north of Springfield, Illinois. A William H. Gass scholar, several of his presentations on Gass’s work are archived at his 12 Winters Blog. News: (April 21) I presented my paper “Writing Too Good to Publish: A Disheartening Dispatch from the Heartland” at the North American Review Writing Conference in Cedar Falls, Iowa. News: (April 19) It’s an honor to have my story “First Kings” accepted by North American Review, the oldest literary magazine in the country. “First Kings” extends the narrative of my 2017 novel Crowsong for the Stricken. News: (March 30) Edify Fiction has accepted my poems “Awakening” and “Dignity” for publication. They’re part of my Laertes Sequence of sonnets. News: (March 27) I’m pleased to accept a position on the editorial board of the Journal of Science and Education, School of Education, Hue University, Hue, Vietnam. News: (March 22) Haunted Waters Press has accepted my poem “Ingots” for publication. It’s part of my Laertes Sequence of sonnets. 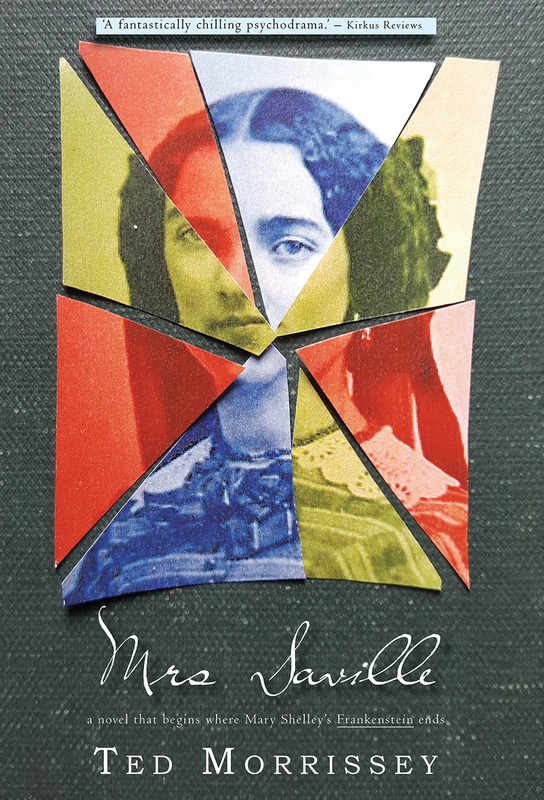 News: (March 18) Central American Literary Review has published “Madison,” Part IV of my work in progress The Isolation of Conspiracy. Other pieces have appeared in Floyd County Moonshine, Lakeview Journal, and Adelaide Literary Magazine (two issues). News: (March 1) My sonnet “Obsolescence” has been picked up for publication in Prime Number Magazine by guest poetry editor Hedy Habra. It is the third poem in my Laertes Sequence to be published. News: (December 18) My paper proposal “‘Danc[ing] to Organized Noise’: The Loss of the Literary Voice and Its Consequences” has been accepted for presentation at the MLA International Symposium in Lisbon, Portugal, July 2019. News: (December 15) My paper proposal “Writing Too Good to Publish” has been accepted for presentation at the North American Review Writing Conference in Cedar Falls, Iowa, April 2018. News: (November 15) Mrs Saville was named an Awards Finalist for the Best Book Award in Literary Fiction by American Book Fest. News: (September 23) “Medieval Music from Midwestern Universities,” an excerpt from Part III of my work in progress “The Isolation of Conspiracy,” has been published in Adelaide Literary Magazine (#16). Earlier excerpts have appeared here and there, including Adelaide, June 2017. News: (September 19) My sonnet “Shroud” has been accepted for publication by Bellevue Literary Review. “Shroud” is part of my “Laertes Sequence,” which I wrote to my father, who passed away suddenly in 2013. “Shroud” is my first honest-to-goodness poetry publication. Previously my poetry has been written in the service of my prose. News: (September 7) My novel Mrs Saville, a sequel to Mary Shelley’s Frankenstein, has been published in hardcover, paperback and Kindle editions. The paperback includes the short story “A Wintering Place” and an Afterword by yours truly. News: (August 20, 2018) “Medieval Music from Midwestern Universities” has been accepted for publication by Adelaide. The piece is an excerpt from Part 3 of my work in progress, The Isolation of Conspiracy. Adelaide published an earlier piece of the work in their June 2017 issue. News: (June 1, 2018) “Vox Humana” (a Crowsong Universe story) has been published by Blue Lake Review. News: (May 30, 2018) My prismatic novel Crowsong for the Stricken has won the International Book Award in Literary Fiction 2018 from Book Fest. 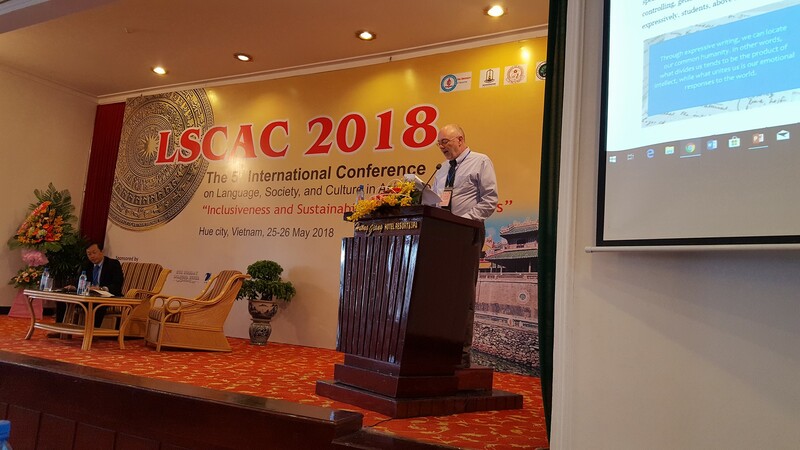 News: (May 30, 2018) I had the honor of being a keynote speaker at the Fifth Annual Conference on Language, Society and Culture in Asian Contexts, May 25-26, in Hue, Vietnam. My speech was “Locating Our Common Humanity through Expressive Writing,” and is available in its entirety here. Delivering my keynote address “Locating Our Common Humanity through Expressive Writing” in Hue, Vietnam. 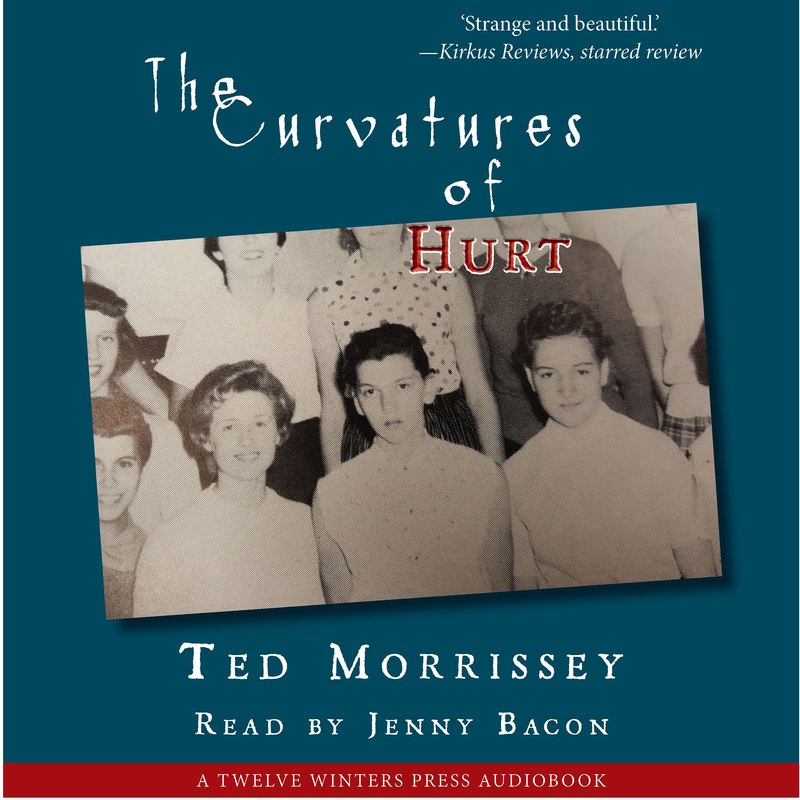 News: (May 1, 2018) The Curvatures of Hurt audiobook, featuring Jenny Bacon, is now available from Audible, Amazon and iTunes. 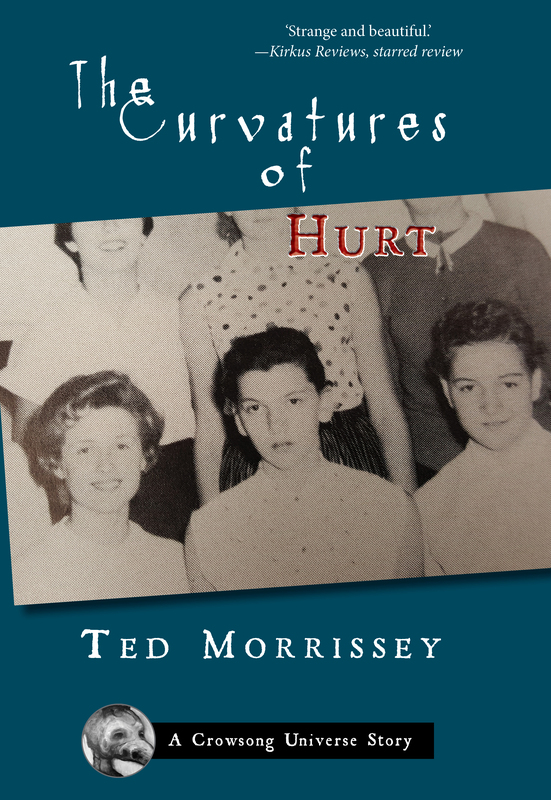 News: (April 24, 2018) My novella The Curvatures of Hurt is available in paperback and Kindle editions, and soon an audiobook featuring the voice of Jenny Bacon, who wrote an Afterword for the book. “The Curvatures of Hurt” is also part of the prismatic novel Crowsong for the Stricken. News: (January 31, 2018) I’ll be reading a pared down version of my story “Primitive Scent” at Lincoln Land Community College’s love-themed literary event February 17, beginning at 8 p.m. “Primitive Scent” is part of Crowsong for the Stricken and originally appeared in the Tulane Review. News: (December 6, 2017) My paper “Jailbreak! : William H. Gass’s Lifelong Work to Free Himself from the Imprisonment of Print” has been accepted for presentation by the Louisville Conference on Literature and Culture Since 1900 Feb. 22-24 at the University of Louisville. I’ll also be reading an excerpt from novel Mrs Saville. News: (November 22, 2017) I’ve been invited to be a keynote speaker at the Fifth International Conference on Language, Society, and Culture in Asian Contexts May 25 and 26 in Hue City, Vietnam. I’ll be speaking about using expressive writing to locate our common humanity. News: (November 12, 2017) I’ve uploaded a video of my reading “Beside Running Waters,” a piece from Crowsong for the Stricken which originally appeared in Constellations and was reprinted in the anthology Literature Today (volume 4) and at CommuterLit.com. News: (November 6, 2017) Crowsong for the Stricken is now available in paperback (as well as hardcover and Kindle editions). News: (September 20, 2017) I’ll be reading from my new novel Crowsong for the Stricken at Lincoln Land College’s literature festival Sept. 28. It’s a group reading with John Paul Jaramillo, Allison Joseph and Jon Tribble, from 5 to 7 p.m. in Menard Hall. I’ll be reading an excerpt from “Season of Reaping,” one of the twelve pieces that comprise the novel. News: (July 19, 2017) A video of my reading “Communion with the Dead,” a short story of mine published in the Chariton Review in 2008. News: (July 18, 2017) ink&coda will be including my story “Planes” in their forthcoming issue. Unfortunately this will be the journal’s final issue. The material they have published will, however, be archived at their site. My story “The Drama of Consonants” appeared in the journal a few issues back. Both “Planes” and “The Drama of Consonants” are parts of my prismatic novel Crowsong for the Stricken, which will be released in a few weeks. News: (July 1, 2017) The Southern Humanities Review (51.1) which includes my story “Sheol,” part of the forthcoming Crowsong for the Stricken, is out. News: (June 13, 2017) Southern Humanities Review 51.1 will be out soon. It includes my story “Sheol,” part of the forthcoming Crowsong for the Stricken. News: (May 11, 2017) My story “Beside Running Waters” is posted at CommuterLit.com. The story was originally published in Constellations and it was also anthologized in Literature Today, volume 4. News: (May 7, 2017) “The Glance of Orpheus II” appears in the new issue Adelaide. It’s an excerpt of Part II of my work in progress titled The Isolation of Conspiracy. Part I, “Meditations on the Word” appeared in Floyd County Moonshine, and the first part of Part II appeared in Lakeview Journal. News: (May 6, 2017) The story “Erebus” appears in the new issue of Everest. News: (April 19, 2017) The international literary magazine Adelaide has accepted “The Glance of Orpheus II” for publication. It is an excerpt of Part II from my work in progress The Isolation of Conspiracy. News: (April 13, 2017) A writing career first. I had two pieces come out in different journals on the same day — both excerpts from my work in progress The Isolation of Conspiracy. Part I, “Meditations on the Word,” is in the journal Floyd County Moonshine; and an excerpt of Part II, “The Glance of Orpheus,” is in Lakeview Journal. News: (March 11, 2017) Floyd County Moonshine has accepted for publication “Meditations on the Word,” Part I of my work in progress titled The Isolation of Conspiracy. Part II, “The Glance of Orpheus,” is forthcoming in Lakeview Journal. News: (March 1, 2017) I presented my paper, “Modernism’s Last Gasp and the Architecture of William H. Gass’s The Tunnel,” at the Louisville Conference on Literature and Culture Since 1900 Feb. 23. I also been read an excerpt from my long story “The Curvatures of Hurt,” which is part of the forthcoming book Crowsong for the Stricken. The paper is available here. News: (December 5, 2016) My course on Revisionist Fictions that I’ll be teaching winter quarter in the MFA in Writing Program at Lindenwood University is posted. News: (October 4, 2016) Mrs Saville, a novel in progress, will be published serially at Strands Lit Sphere. News: (September 20, 2016) Trauma Theory As a Method for Understanding Literary Texts (Mellen) is available for pre-order and will be released November 2. News: (August 3, 2016) My course on the Long Story & Novella that I’ll be teaching this fall in the MFA in Writing program at Lindenwood University is posted. News: (May 25, 2016) My story “Planes” (originally published by Lavender Wolves Literary Magazine) was a finalist for the Sequestrum Editors’ Reprint Award. News: (April 29, 2016) I have joined the MFA in Writing faculty at Lindenwood University as an online instructor, and will begin by teaching a literature course on the “The Long Story and Novella” this fall. News: (March 28, 2016) “The Pedigree of Self-Publishing,” a short article, is included in the newest issue of North American Review (301.2). Available for purchase here. 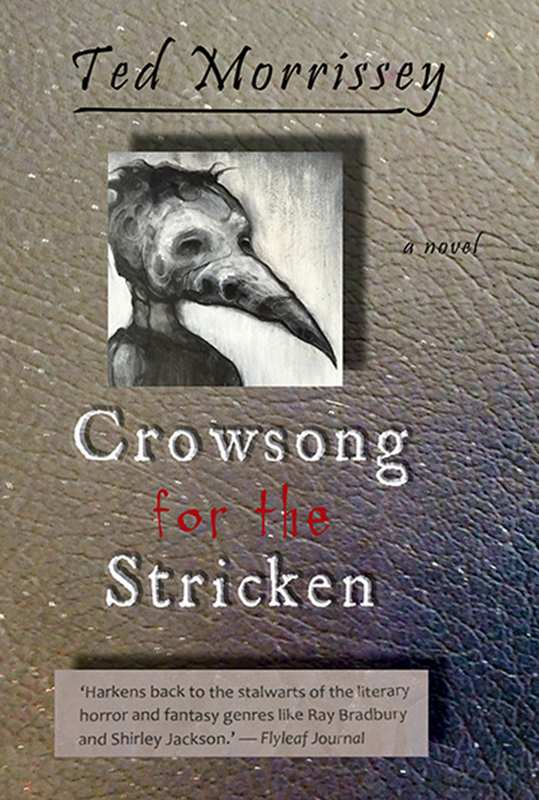 News: (February 2, 2016) “Crowsong for the Stricken” has been published by Flyleaf Journal. “Crowsong” received the Editors’ Reprint Award 2015. From the email informing of the award: “Although you were in good company with many other accomplished contributors, we were absolutely enchanted by your story and its unique premise of a small town plagued both by disease and paranoia. The style of the language and the overall tone seemed to harken back to the stalwarts of the literary fantasy and horror genres like Ray Bradbury and Shirley Jackson.” The story originally appeared in Noctua Review, and it will be the title story of a collection released later this year. News: (January 7, 2016) My story “Beside Running Waters” has been reprinted in Literature Today, volume 4. News: (December 28, 2015) The novella Weeping with an Ancient God was included on the Chicago Book Review‘s list of the Best Books of 2015. News: (October 4, 2015) Fiction on the Web has published the my long short story “The Curvatures of Hurt.” It is the final story in a collection of related stories that will come out next year, titled Crowsong for the Stricken. News: (August 4, 2015) Southern Humanities Review has accepted the my short story “Sheol” for publication. It is part of a collection of related stories yet to be released. News: (June 30, 2015) Everest magazine has accepted the my short story “Erebus” for publication. “Erebus” is part of a collection of related stories that may be out next year. News: (June 13, 2015) I presented my paper “Fictionalizing the Life and Voice of Washington Irving” at the North American Review Bicentennial Conference. The paper was about his writing of the novel An Untimely Frost. Visit my 12 Winters Blog to read the paper. Update: (March 24, 2015) My post, “Professor Tolkien’s Rebel Readings of Beowulf,” expanding my review of Tolkien’s translation is on the North American Review blog here. News: (March 20, 2015) My review of J.R.R. Tolkien’s translation of Beowulf, “A Dragon-Worthy Treasure,” has been published in the North American Review (300.2). News: (December 1, 2014) my story “The Ancient World” has been accepted for publication by The Snapping Twig. “The Ancient World” is one of a nearly complete collection of connected tales titled A Murder of Stories, which should be out in book form in 2015. The stories in the collection are all set in the same Midwestern village, usually in the 1950s, with reoccurring characters, themes and motifs — but each is a unique experiment in narrative style and/or structure. 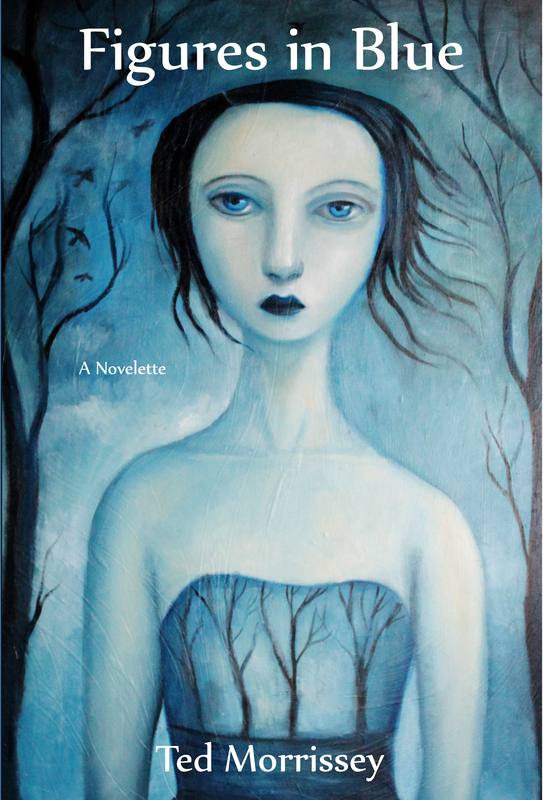 News: (October 28, 2014) My short story “Bitterness on the Tongue” has been published by the Blue Bonnet Review. “Bitterness on the Tongue” is one of a growing collection of connected tales, titled A Murder of Stories. Others have appeared in the Tulane Review, Noctua Review, Constellations, and Black Denim Lit, while others are forthcoming in Stone Crowns Magazine and Lavender Wolves Literary Journal. The stories are set in the same unnamed village and have reoccurring characters, themes and images. Yet each is a unique experiment in narrative style or structure. News: (October 27, 2014) The short story “Planes” is a featured “Scary Story” on WUIS public radio. Listen here. 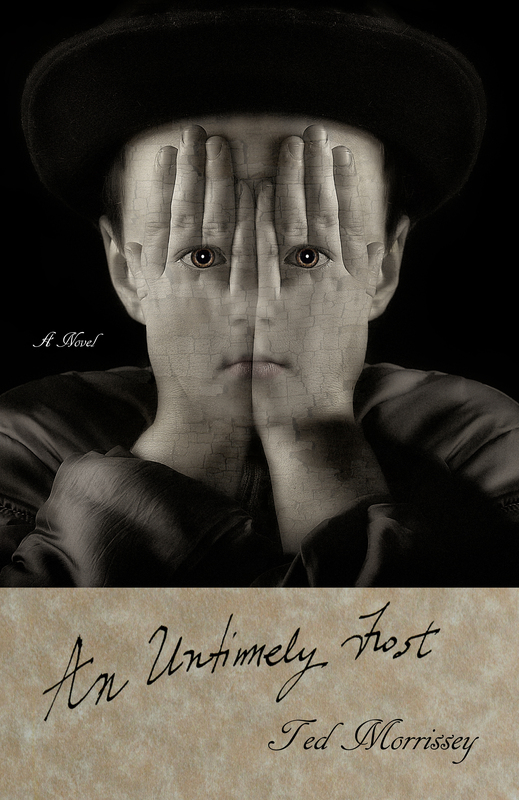 News: (October 4, 2014) Anne Drolet reviewed An Untimely Frost in the fall 2014 North American Review: “In An Untimely Frost, Ted Morrissey takes us on a haunting journey through mid-19th-century London. 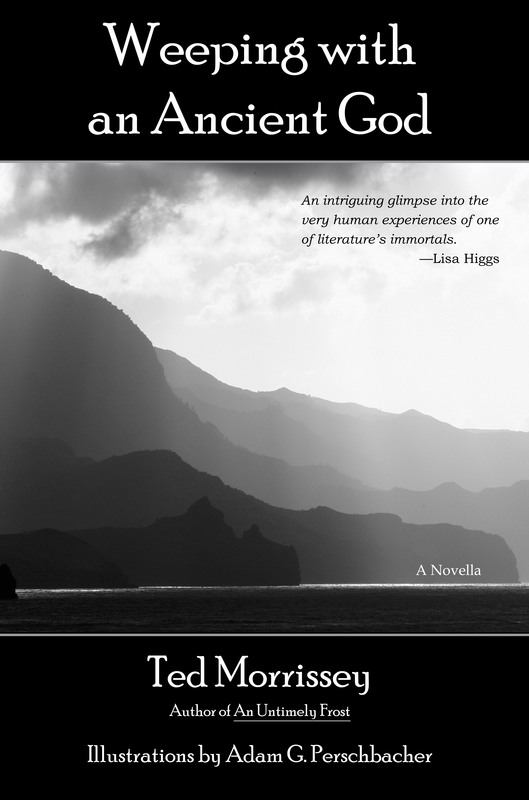 . . .The novel becomes an engrossing mystery and more than a simple historical novel . . . a wonderful read that draws the reader in. . . .” News: (August 29, 2014) My story “The Drama of Consonants” is in the summer 2014 issue of ink&coda. “The Drama of Consonants” is part of a series of related stories. Others have appeared in the Tulane Review, Noctua Review, Constellations, and Black Denim Lit, while others are forthcoming in Stone Crowns Magazine and Lavender Wolves Literary Journal. The stories are set in the same unnamed village and have reoccurring characters, themes and images. Yet each is a unique experiment in narrative style or structure. News: (August 24, 2014) Weeping with an Ancient God, a novella, has been released by Twelve Winters Press. The book includes illustrations by Adam G. Perschbacher and an interview by Beth Gilstrap. News: (August 8, 2014) My story “Season of Reaping” is in the August issue of Festival Writer. “Season of Reaping” is an especially experimental narrative, combining prose from multiple characters’ points of view, and villanelles embedded in the text of the story. It is part of a series of related stories. Others have appeared or are forthcoming in the Tulane Review, Noctua Review, Constellations, Black Denim Lit, Stone Crowns Magazine, Lavender Wolves Literary Journal and ink&coda. News: (July 26, 2014) The Beowulf Poet and His Real Monsters continues to be added to notable collections around the world, recently the British Library and the Library of Congress. Other noteworthy libraries include Notre Dame, Duke, Pepperdine, Purdue, Nebraska, Pennsylvania, and Massachusetts, as well as research libraries in Australia, South Africa, New Zealand, the Netherlands, Germany, France, Iraq, and elsewhere. See the complete list on WorldCat. News: (June 28, 2014) My short story “Planes” will be included in an upcoming issue of Lavender Wolves Literary Journal. “Planes” is part of a series of related stories. Others have appeared in the Tulane Review, Noctua Review, Constellations, and Black Denim Lit, while another is forthcoming in Stone Crowns Magazine. The stories are set in the same unnamed village and have reoccurring characters, themes and images. Yet each is a unique experiment in narrative style or structure. News: (May 29, 2014) Men of Winter is now available for Nook — and has been reformatted for Kindle as well. News: (May 25, 2014) The audiobook edition of Figures in Blue is available from Audible.com, Amazon and iTunes. News: (April 14, 2014) My brief article “The Loss of Intellect” has been posted on North American Review’s blog. It’s an extension of my review of William H. Gass’s novel Middle C based on Gass’s mid-1990s predictions about the effects of technology and the Web on young minds in particular. 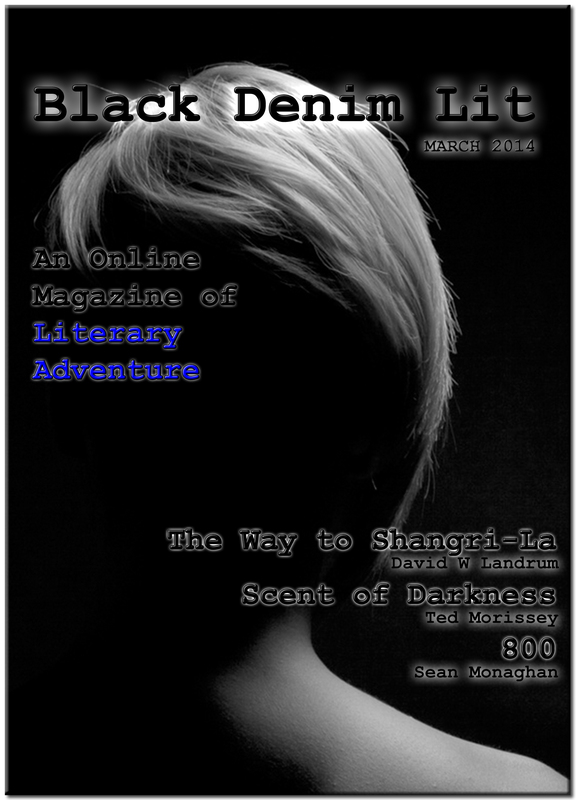 News: (March 8, 2014) My short story “Scent of Darkness” is in the March issue of Black Denim Lit. “Scent of Darkness” is part of a series of related stories, others of which have appeared in the Tulane Review, Noctua Review and Constellations. News: (January 7, 2014) The novel An Untimely Frost is available in paperback from Amazon as well as for Kindle, from Barnes & Noble, including for Nook, and from Espresso Book Machine. Visit the Twelve Winters Press site for a complete list of sellers. News: (December 2013) The poem “A Painful Commerce” has been collected in The Muse: An International Journal of Poetry, volume 1, issue 2, edited by Pradeep Chaswal, Deepak Chaswal and Mohammad Arif. News: (December 2013) WUIS Public Radio has aired an interview with me, discussing the novelette Figures in Blue and the forthcoming novel An Untimely Frost, among other topics. See the Interviews page for others as well. News: (November 18, 2013) North American Review posted “The Psychic Origins of Creativity” on its blog. 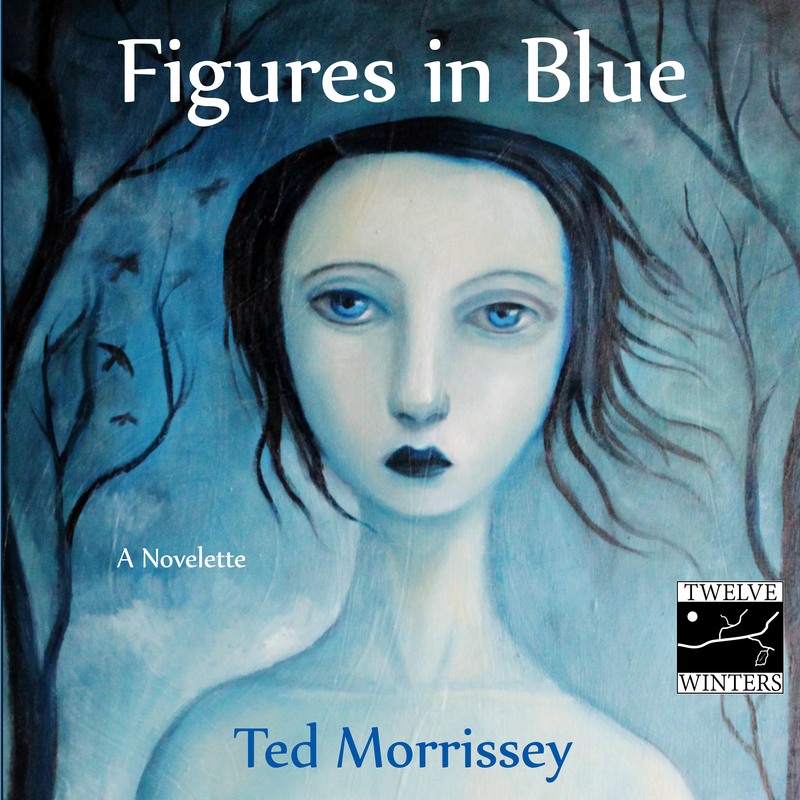 News: (October 25, 2013) The novelette Figures in Blue is now available in print through Amazon, Barnes & Noble, and Espresso Book Machine. 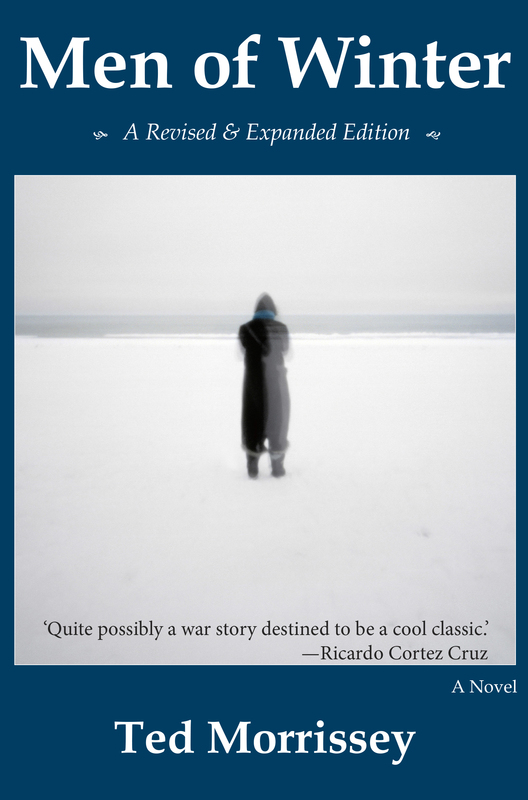 News: (August 2, 2013) Men of Winter, a Revised & Expanded Edition, has been released by Twelve Winters Press and is now available in paperback from Amazon, Barnes & Noble, and Espresso Book Machine. It will soon be available in a variety of formats from multiple sources. Download a printable flyer. 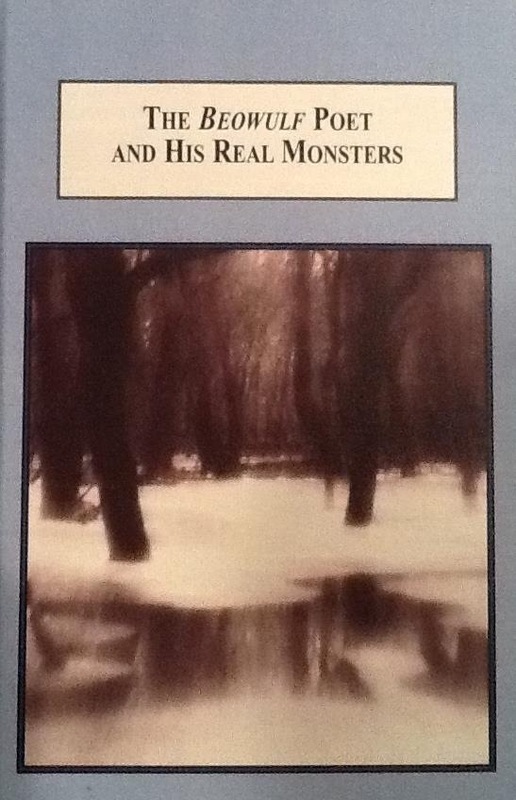 News: (March 12, 2013) The monograph The Beowulf Poet and His Real Monsters was released by Edwin Mellen Press. It is the first time that the postmodern critical model of trauma theory has been used to gain insight into the classic Old English poem. The book is available in various formats, and scholarly journals may request free copies for review. Please see the monograph’s page for further details. Update: Edwin Mellen Press awarded the monograph the D. Simon Evans Prize for distinguished scholarship–the Press’s highest honor.